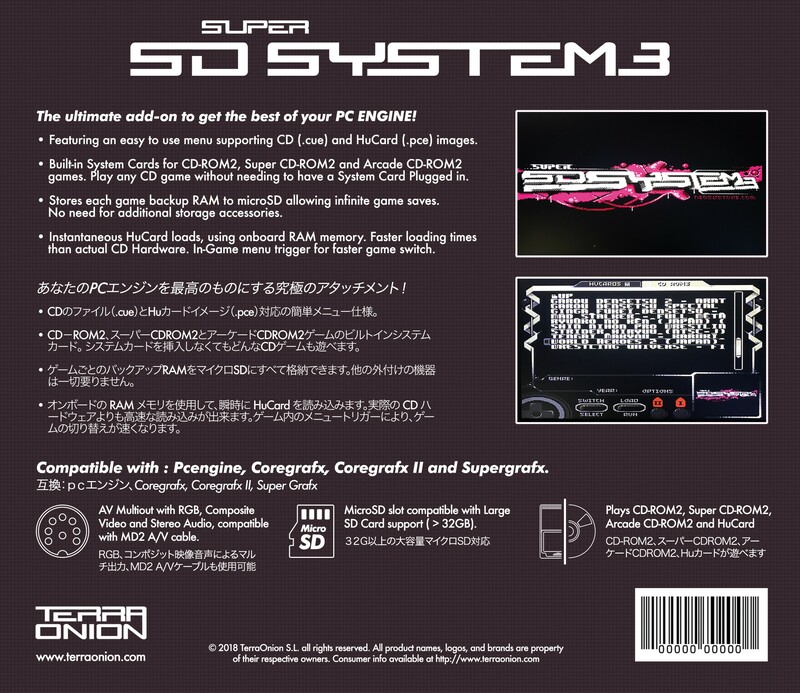 Super SD System 3 is a 3 in one device for Pcengine. So where is the magic on this new device ? It dosen´t requires ANY system card to play cdrom games and every game works. It dosent matters if this a cdrom2 game a super cdrom2 game or an arcade cdrom2 game. You just need the basic pcengine to play the entire pcengine catallog, and if you have a supergrafx you will be able to play the 6 released Super Grafx Games.